What’s the best thin plywood? That all depends on the project at hand. Here, we take a closer look at some of the most popular types in an effort to determine which kind of thin plywood is best for the job you have in mind. All types of plywood are made with strong resins and wood fiber sheets of varying quality. In general, thin plywood is manufactured in the same way thicker plywoods are made, that is by layering very thin sheets of wood one on top of the other and bonding them together with their grains running in opposite directions. The minimum number of layers for any type of plywood – even the thinnest – is three. Thin plywood is used for a wide variety of applications that call for high-strength, high-quality sheet material that offer resistance to cracks, breaks, twisting, warping, and shrinkage. There are many different types of hardwood and softwood plywood that meet these needs under specific circumstances. Aircraft grade plywood tends to be very thin and light, and it typically offers excellent strength. It isn’t just used in the aircraft industry; it is also a favorite with those who build models. Decorative plywood comes in various thicknesses, with some of the most popular being very thin and lightweight. This type of plywood often features a hardwood face veneer made with ash, birch, oak, maple, mahogany, or even teak or rosewood. It is sometimes bonded with fabric or resin-impregnated paper and is useful in applications that call for dying or drawing on the wood. 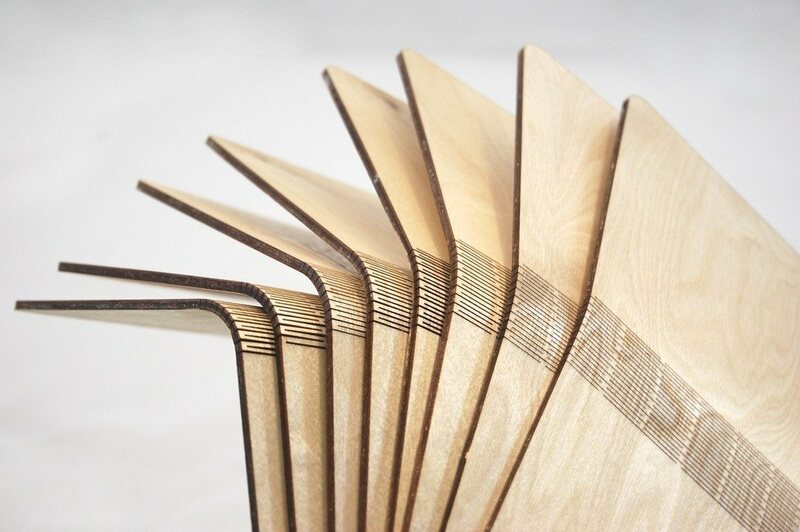 Flexible plywood is sometimes known as bendy ply or wiggle board and in the UK, it is nicknamed hatters ply because it was used for making stovepipe hats during the Victorian era. This is usually lightweight and is the best thin plywood for making curved parts for projects of all sorts. Marine plywood such as Okoume is typically available in very thin sheets that are both strong and lightweight. Even the thinnest Marine plywood tends to be a bit pricey in comparison to most other types of plywood, but its special characteristics make it well worth the investment. When choosing plywood, consider what characteristics are most desirable for the project at hand and make your decision based on the product’s ability to meet your needs. Looks, strength, weight, even the price, and the ability to withstand wear are some to keep in mind. 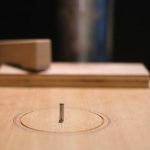 Musical instruments, models, and cabinets are some of the most popular items made with thin plywood, and other items such as kites, miniatures, and even things like hockey sticks and blades for wind turbines call for quality plywood that’s much thinner than the wood used in heavy-duty applications. Ensure that you check to determine whether the product you are considering is rated for indoor or outdoor use, and be sure that it offers the amount of flexibility or rigidity desired. Ultimately, the best thin plywood is the one that is best suited to the job it will be performing.